So, like any former theater nerd all grown up and now a productive member of society, I have a lot of feelings about Into the Woods. I remember the first time I saw a production of it (a high school drama club, of course), and I remember thinking, even though it was a little bit abridged and a lot bit done on a shoestring budget and with a mediocre cast, that this was a musical I could really get behind. This was a story I understood and wanted more of. 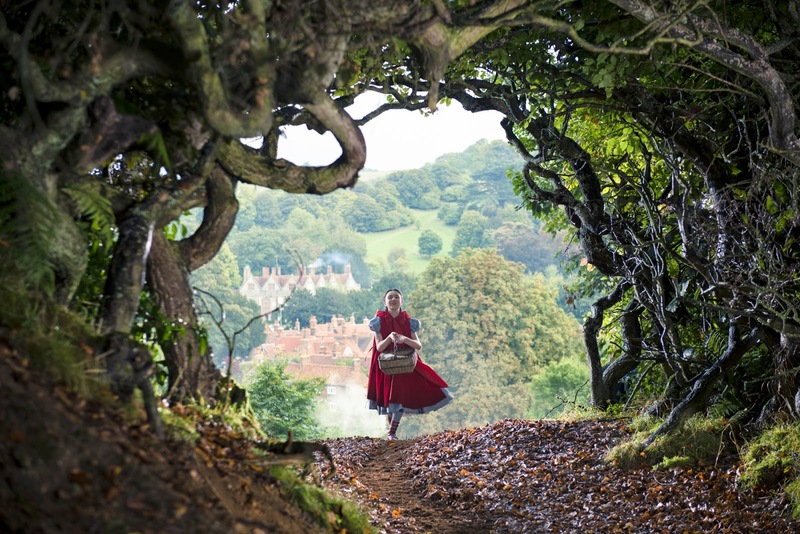 That this, the lovely darkness and twisted ambiguity of Into the Woods, was exactly my cup of tea. Which is why when I heard that Disney was making a film adaptation I immediately clenched up in horror. Well, I can tell you now without much hesitation that my clenching was mostly in vain. The movie's good. Not great, mind you, but good. A very solid movie musical that's faithful to the original but doesn't suffer for it. More Chicago than Les Miserables, if you know what I mean. A sturdy adaptation with good casting, a nice interpretation, and nothing particularly new or interesting to add. So if that's all you're looking for, you can go now. That's the movie in a nutshell. Johnny Depp isn't fantastic, but he isn't on screen for long and he does a passable job as the Wolf. The kids are excellent, and in general the actors all turn out to be really good singers. It doesn't add anything, sure, but it doesn't take much away either, and if you're a fan of the musical you aren't apt to find too much to complain about in the movie. It's not perfect, but it could have been a whole lot worse. That having been said, it could have been a whole lot better too. It's funny, because the Witch's indictment of the townspeople could also apply to this film: "You're not good, you're not bad, you're just nice." Because it is nice, and you know how I feel about nice. But I should back up for those of you who aren't massive fans of the original Stephen Sondheim musical and have no idea what I'm going on about. Into the Woods is a musical that mixes together all of your favorite fairy tales into one story. You've got Cinderella (Anna Kendrick) who despises her stepmother and stepsisters, and with the aid of her mother's ghost gets dressed up to go to a festival where she catches the eye of a charming Prince (Chris Pine). 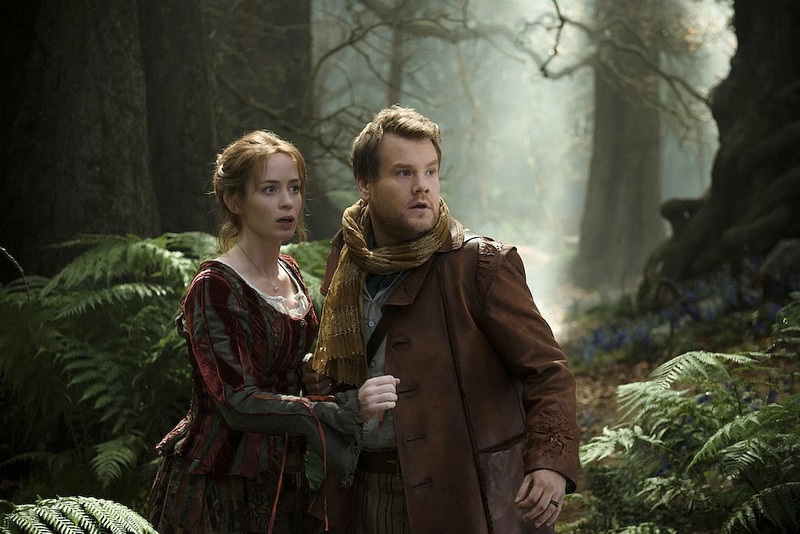 In another part of the woods you also have a Baker and his Wife (James Corden and Emily Blunt) who desperately wish to have a child but can't because the Witch (Meryl Streep) put a curse on their family. To reverse the curse they'll have to gather some spell ingredients in the next three days or live with it forever. Meanwhile, Jack (Daniel Huttlestone) is an airheaded little boy who has to sell his prize cow (and only friend) to save himself and his mother from starvation and ends up with a couple of magic beans. 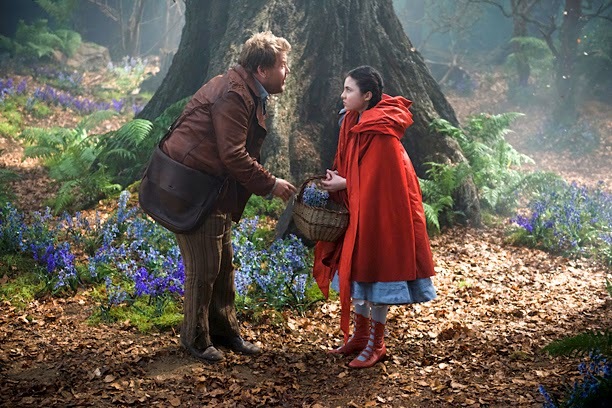 And of course Little Red Riding Hood (Lilla Crawford) is on her way to Grandmother's house when she's waylaid by the Wolf (Johnny Depp). Oh, and Rapunzel (Mackenzie Mauzy) and her Prince (Billy Magnussen) turn up in here too. So it's all just one big jumble of fairy tales, and for a while at least it all goes according to plan. Sure, the characters are much more developed and, well, human, than we usually see them, but the stories aren't that different. Cinderella gets her Prince, Jack gets some giant gold, Red is saved from the Wolf, and the Baker and his Wife have their child. Even the Witch gets what she wants - albeit not entirely since Rapunzel runs off with her Prince too. What makes this story at all interesting or unique is what happens next. See, the whole premise of Into the Woods is that life doesn't end at happily ever after. There's an after ever after, and it's usually messy and human and scary and not nearly as fun as the bit that came before. Life is much bigger and wilder than we like to tell ourselves it is, and it rarely ties up neatly with a little bow. The second act of the show, and the final third of the movie (roughly), is much much darker than the first. As the characters slowly reenter the woods, fleeing for their lives from an angry giant, they realize that the woods can be much more dangerous than previously supposed and that all of their happily ever afters are much more complicated than they seemed at first glance. Cinderella and her Prince barely even know each other, let alone have a solid relationship. The Baker and his Wife have a child, but now they have to figure out how to be parents when they didn't really have good examples. It's all much harder than it seemed. And that's precisely why I love it. I love that Into the Woods is about the consequences for telling ourselves that happily ever after is a thing that happens. One of the main themes of the show is the idea that we should be careful what stories we tell children, because children will listen. So if you tell a child that everything will work out fine in the end, then that kid is apt to grow up and be very frightened and disoriented when it doesn't, in fact, all work out in the end. Why? Because there is no end. Your life is just one tiny thread in the story of the world and while it is a vitally important thread, it might not make sense when you look at it on its own. It might not all work out. It might be scary and hard and not at all what you wished for. And that's okay. Honestly, I feel like being familiar with this musical really helped me out when I started to enter the real world and came to the quick conclusion that happily ever after is a misnomer because it presupposes a nice clean ending. In reality life is messy and real and human and full of mistakes and regrets and joy and terror and much wilder than any fairy tale I know. Into the Woods prepared me for that, and I'm grateful. I think my dissatisfaction with the movie - and that's what it is, not a clear and defined grievance, just mild dissatisfaction - stems from that fact that it's all very Hollywood. Everyone is scrubbed up and shiny and good and very very nice, and no one feels all dirty and messy and mean. Everyone is likable, and I don't like that. Obviously this isn't the end of the world, but it does make a difference in my interpretation of the film. It does matter. It matters because when the point of the film is that life is not a clear story with a defined "and they all lived happily ever after" in there, then the characters we follow should be equally complex. They shouldn't be good, they should be human instead. And these characters were just a little too good. I don't think I'm verbalizing this properly. So, at the end of the movie, Cinderella and her Prince part ways because when it comes down to it, they're not well suited for each other and they really don't know one another at all. Cinderella's stepmother and stepsisters run away from the giant, and aren't really seen again. Rapunzel and her Prince ride off into the sunset after she repudiates the Witch and tells her that she never wants to see her again. And that's the last we see of those characters. The problem with that ending isn't that it's vague or that those characters just sort of drift off screen. I'm totally cool with that. My issue is that we don't get to see how those characters, who don't get the message of the story, are doomed to repeat it. 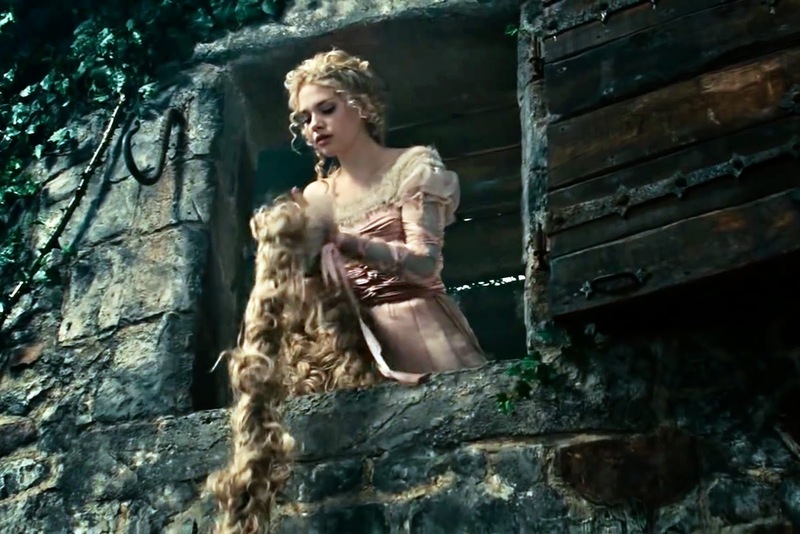 In the musical, both Cinderella's Prince and Rapunzel's become dissatisfied with their wives and end up chasing new and exciting princesses (Sleeping Beauty and Snow White) that they find in the woods. The whole concept of those characters is that they both want what they cannot have and never learn to be satisfied with what they've got. Rapunzel doesn't get a happy every after either. Driven crazy by the Witch's treatment of her and left by her Prince, she wanders out into the woods and is killed by the giant. That's when the Witch decides to pack it in the with the world because she has nothing left to live for. And we do see Cinderella's stepmother and stepsisters again, but only to confirm that they ran away and hid and survived because people like that always survive, and they'll keep on being horrible and nasty and not learning things for a while longer. In other words, what I liked about the ending of the musical was that it showed the consequences of believing that there is a happily ever after and constantly chasing that "I wish..." It showed that if we don't learn from the situations we're placed in, we're doomed to repeat them. And it also made it abundantly clear that we have to learn if we ever want to move forward. Not just for ourselves, but for the people around us. Especially for the children. The movie did an okay job with this bit, actually. Because the real point of the show and the movie is the idea that children are listening a lot more than we think they are. Not just to the words we actually say, but to our actions as well. Jack learns to be greedy because his mother is. She never tells him to steal or even tells him that she's glad he did, but he can tell from the way she acts that she's glad he did, so he does it some more. He was listening. I'm dissatisfied with the movie because it didn't go far enough. It didn't make it clear enough that life doesn't get easily broken down into the fairy tale and the happily ever after. It's actually much more complicated than that, and a lot harder to understand. Life is, effectively, the woods. We're all lost and all confused, but some of us want to change. Some of us are looking for something more than happily ever after. And it's not easy, but it can be good. I'm just not comfortable with the movie neglecting to remind us that in life, the bad guys don't always get punished, and even the people we like might not learn the lesson we want them to. That's life. 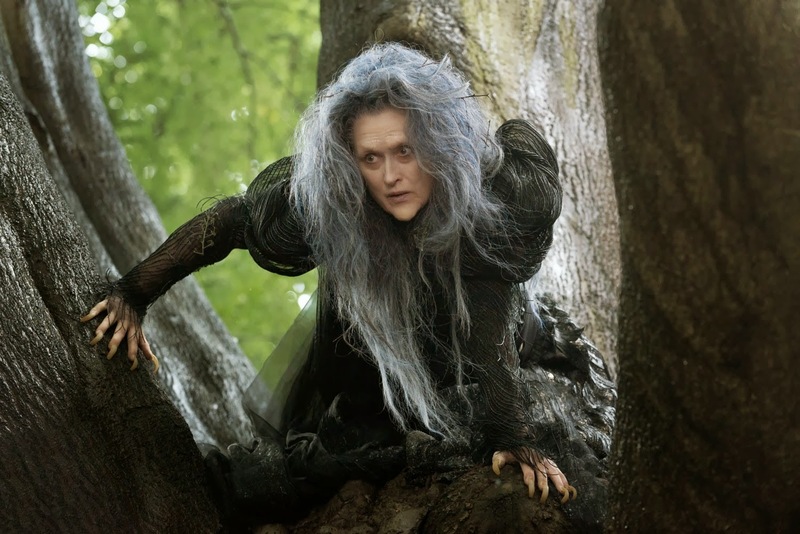 All of this, of course, isn't to say that Into the Woods is a bad movie or a bad adaptation. I fully admit that the problems I have with it are quibbles, matters of interpretation. It's a perfectly solid and entertaining film, and I recommend it if you think it sounds like the sort of thing you'd enjoy. But it's not daring. It's not revolutionary. It's not challenging the status quo as much as it should. And that makes me sad. Because I really really believe in the message of this musical. I firmly believe, and I have a whole series of articles devoted to the idea, that we have got to be careful what stories we tell children, because children are listening. It's why I have so many problems with fairy tales or Disney princess movies or any media that we think we can show to children without properly examining first. Children are always listening, and they will learn from what we do. We can't forget that. The ending of the film (and the musical) is important, because it shows the Baker telling his son a story, the story of all that's happened already in the film. And the ending moral is that he should be careful what he tells in the story, because his son is listening. I would add that while it's not explicit, it's also important that the Baker tell the story without trying to make it any nicer than it is, and without trying to improve upon or redeem any of the characters. Because it's only by understanding the world as it really and truly is that we can hope to make it a better place. Would you like to know more about hoverwatch app? It enables monitoring employees, children or you significant other if you have a need to do so.